Google is taking over the world, and if you think you are out of its reach because you are deaf, think again. Google has launched its latest tool to envelop you in its programs. YouTube is going to add captions in its videos. Although caption-adding feature is already there on YouTube, but not many video makers use it. So Google’s software engineer Ken Harrentstien , who is hearing impaired, came with the idea of machine generated captions. These machine-generated captions would be generated in English, at the outset. Initially, they would be available on only 13 channels. 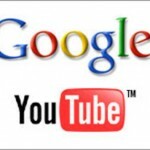 These include National Geographic, Columbia as well as most Google and YouTube channels. This tool would combine the use of automatic speech recognition software and the already available caption system. Of course, the translation cannot be perfect always. As in the demonstration, the phrase ‘sim card’ was translated as ‘salmon’, but this is just the beginning of a new idea, and additions will be done, time and again, to make it better. On the other hand, video makers can also upload a transcript of their videos and the auto-timing algorithms of the tool will synchronize the transcript with the speech, thus matching text to words as they appear in the video. Vint Cerf, who is the vice president of Google, and far and wide acknowledged as the founding father of Internet, is also hard of hearing and has been wearing a hearing aid since the age of 13. This is the second news blast of YouTube this week; as earlier this very week; it announced the commencement of YouTube Direct. YouTube Direct is a feed of uploaded amateur videos of newsworthy happenings, such as accidents or protests. YouTube Direct is aimed at media industry and newspaper editors who subscribe to it. They will be able to request the phone numbers of such video contributors. Up to now, a selected group of radio stations, newspapers and websites in the United States have participated in the trial. Coming back to the automatic captions, this new feature would definitely be loved by everyone, and would be a welcome attribute, not just be the hearing impaired people. So, if you are sitting in your office and you want to watch a YouTube video of your favorite actress or a part of movie, you can do so, with the help of new captions. Or, if your speakers are not working, but you still want to enjoy your favorite YouTube video, this feature is just for you. Although, the translations can go haywire in some cases, but since the Google teams would be working upon this feature, it won’t take long when they develop a perfect automatic caption feature.